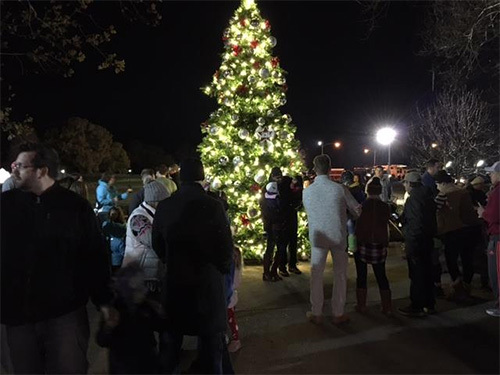 Join us on Saturday evening, November 24 for the Annual Christmas Tree Lighting at 6:00 pm in the Log House field below the Christmas Tree. The tree is a little bigger this year! We've added a new 3' extension to the bottom and some new red Christmas balls. all we have planned for the evening!! Join us for a wonderful event! Businesses, organizations and individuals can contribute to Downingtown Good Neighbor Christmas, Inc. by going to the "Sponsor" page. We are a 501(c)3 organization, so your donation is tax deductible. No tax dollars are used for the Tree Lighting event or the Christmas parade, so donations are greatly appreciated.